EDIT: Giveaway is officially over. Congratulations to the randomly chosen 49th commenter, Little Fever! One of you shall be the best accessorized damsel of the next masquerade ball you attend. Andrea Adams of Beadmask is giving away a $30 gift card to spend on her beautiful bead and leather art. Her Etsy shop glitters with beaded cabochon jewelry and gleams with sculpted leather masks, crowns, hair sticks and barrettes. Andrea is a second generation artisan living in Seattle. She was fortunate to learn from her father, who also supported his family through his art. The amazing work she creates now is the culmination of many years spent honing her skills and developing a distinctive style. Despite working with beads and leather for so long, her favorite materials still intrigue her. She keeps dreaming up projects that are just beyond the scope of her expertise, which motivates her to learn new techniques. This creative process helps her to find her center, and also brightens the world with her whimsical creations. Giveaway is open worldwide to entrants at least 18 years old. I will be pulling a number from my random.org top hat after 11:59pm EST on August 15, 2011, and the corresponding commenter will win! Andrea will contact that lucky soul for a mailing address. If she doesn't hear back from the winner within 3 days, a new number will be drawn. 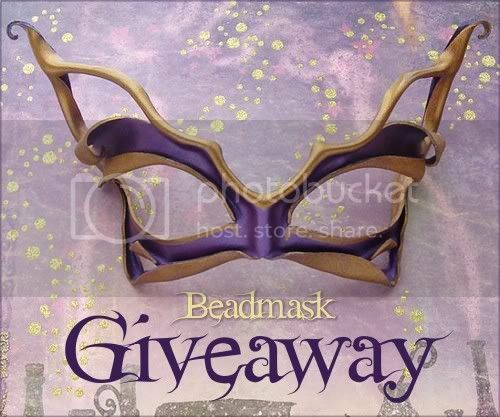 Mandatory Entry: Browse the Beadmask Etsy shop then comment on this post with your favorite handmade item and a way to contact you, preferably an email or Etsy shop. 1. Like that same item by using the facebook like button on the right sidebar of Andrea's Etsy listing and leave a comment here with the number of likes to the right of the button. 2. Like this giveaway on facebook by using the like button at the bottom of this post and comment with your profile link. If you have a facebook business page, you may also share it there for an extra entry. 3. Like the Beadmask AND aquariann Art pages on facebook. Liking both counts as one extra entry. 4. Tweet about the giveaway using the one below or a variation of your own. Leave a comment with the link. 5. Follow the Beadmask blog AND my blog on Google Friend Connect, Networked Blogs or your favorite RSS reader for another entry. 6. Vote for my blog just by clicking Picket Fence Blogs. You may do this once a day. 7. Spread the word! Use the leaf icons at the bottom to share this giveaway on Stumble Upon, Technorati, Digg, or Del.icio.us. I'll honor one entry for every networking website you share it on, just make sure to leave separate comments for each. 8. Reblog my post on tumblr, just leave a separate comment to let me know. 9. Blog about it or copy and paste the button code below to your sidebar! Thank you for sharing this :) I found so many lovely things in her shop it was hard to pick a favourite!! Already like both business pages on facebook! There are so many AMAZING things to choose form in this shop it is so hard to pick my favorite. I love all of the beadwoven items and the masks are AWESOME! I subscribed to both blogs! Oooh, I love the Little Luna Moth Hair Stick! Been a fan of Beadmask's work for quite a while now! This I love http://www.etsy.com/listing/72129520/leather-rose-bud-hair-clips-in-turquoise, beautiful. I collect brooches so I love the "Leather Peacock Feather Brooch or Pin"
I think the Greenman and Leaf Woman Layered Leather Mask or Pair of Masks is beautiful!! It's hard to choose just one favorite, but I love the drama of her Beaded Leather Gala Mask with Feathered Headdress in Bronze and Black. Liked both art pages on Facebook. I LOVE Andrea's work. She is the best! It would look so amazing in my hair :) She had another one that I like better, but some lucky person must have snapped it up. My favorite is definetly the beaded leather chignon pin. SO BEAUTIFUL! I also liked the pin on facebook, giving it (now) 13 likes. I really love the Crow Feather hair clips... reminds me a few of my favorite stories, songs and movies. Currently, there is only one like on the Sapphire Fairy mask, and that would be me! Oh, it was so hard to choose a favorite on your page, all of your masks and hair pieces are just gorgeous! i love the hair sticks! specifically the leather oak leaf one!! i "liked" it on facebook! it shows that is has (my) one like so far. I like the sapphire and periwinkle sweetheart necklace. The Little Spriteling Mask is soooo lovely. Just liked both accounts on Facebook! my fav item is definitely the Swingy Beaded Copper Chain Dangle Earrings! love them! my email is andnowitslight at gmail dot com! My favorite is the Crow Feathers - Handcrafted Leather Hair Clips. What a great shop! I love the lonely little bat barrette in pewter! thanks! I follow your blog and get your email. Oh, I adore the Sculpted Leather Crown in Pewter and Black with Sterling and Gemstone Accents! I like the Swingy Beaded Copper Dangle Earrings. I love the leather leaf hair slide in red. I love the Little Luna Moth Barrette Hair Stick. I "liked" the item. I'm the only one to like it so far. My favorite item is the "Swingy Beaded Copper Chain Dangle Earrings"
I love the Little Green Leather Birch Leaf Barrette Hair Stick or Hair Slide w/ Maple Stick. I like both pages on FB (Suzanne Gregg). I follow both blogs via GFC. I love all her work! It's just gorgeous! I like the little Spriteling masks. So gorgeous! Ooh I think that the Leather Leaf Barrette Hair Stick or Hair Slide in Autumn Red and Yellow is too sweet! Would be fun to rock in the fall. Love those little spriteling leather masks - they're stunning! I like the Purple Fantasy Birch Leaf Hair Stick or Hair Slide in Shimmering Lilac. The masks are so gorgeous, I love them all but the Little Leather Bats in Black are just too cute! I liked the Little Leather Bats in Black using the Facebook button on the Etsy listing and I'm #1 ! 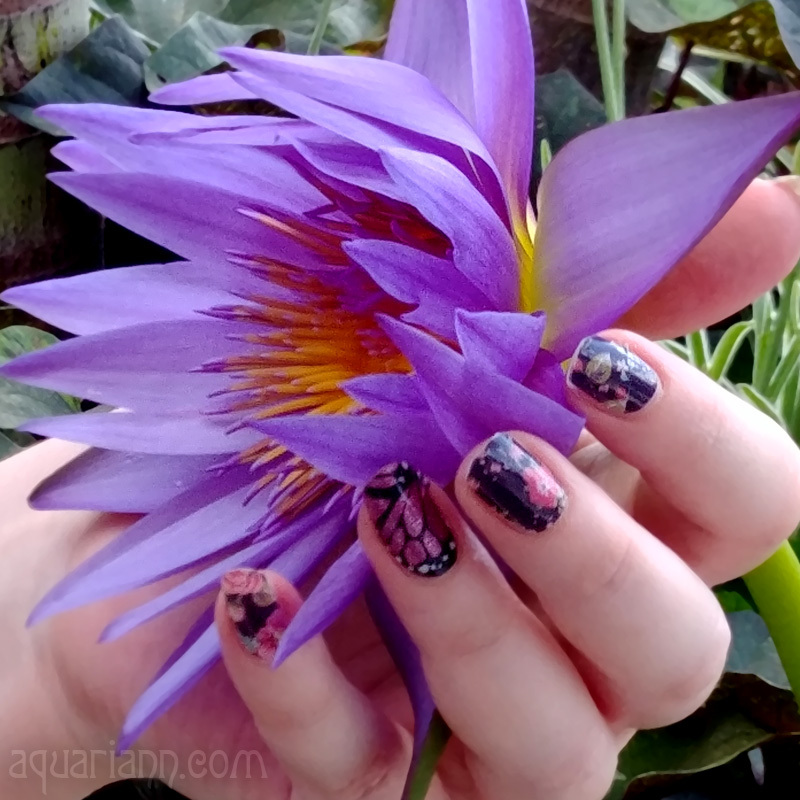 I follow Beadmask and this blog on GFC as Mary Lee! I like the Leather Bat Mask. I liked the item in the Etsy listing. Only 1 like - mine. Wow the Leather Fairy Mask in Copper Brass and Brown is awesome. Ohhh I can't choose just one thing! I love both the Black Leather Bat Wings and the Pixie Cat Leather Mask! I liked both of them on my facebook! Each now has one like. My favorite item is the Autumn Bronze Beaded Vine Bracelet, I love the colors. I've liked both pages on facebook. And I've liked the giveaway! Hard choice, my favorites are the hair sticks: the moth and all the leaves! I adore the Mysterious Moonlight Bead Embroidered Labradorite Necklace with Garnet and Tourmaline! My favorite item is the Sakura mask! It's gorgeous! Oooh, I am in love with all the peacock feather and leaf creations, especially the Leather Peacock Feather Barrette Hair Stick or Hair Slide with Hand Crafted Bloodwood Stick! Christina - xristya@rock.com - I love the Green Man and Leaf Woman mask! Their Little Leather Bird Mask in Green and Bronze caught my eye to get from the shop! The beaded leather gala mask with feathered headdress is sooo pretty! Though I can really only think of only one time in the year when it would be normal to wear it... though I'd probably wear it EVERY Halloween! 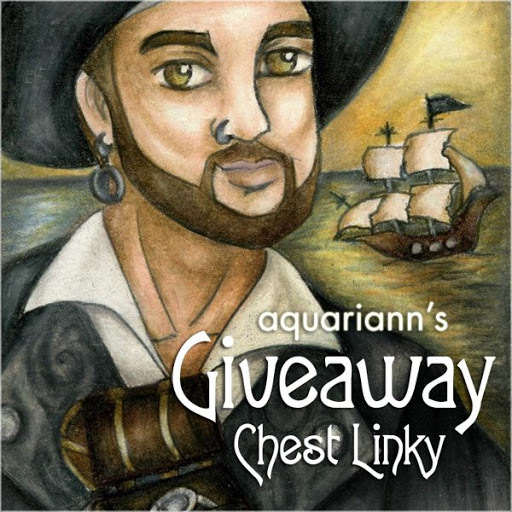 You like art and tree chatter of aquariann: Handmade Giveaway: $30 Gift Card to Beadmask. The Loom Beaded Barrette in Forest Green, Turquoise and White is my favorite. http://www.etsy.com/listing/72801944/pixie-cat-leather-mask-in-purple-and is positively adorable. it's elegant and yet simplistic enough that it can be paired with some exotic jewelry. The Loom Beaded Barrette in Forest Green is my favorite! The Elegant Steampunk Beaded Cameo Necklace in Shades of Bronze Brass Copper and Ruby is definitely unique!! Oh no'sssssss! That was too hardsssssss! I love peacocks, but I love faerie cats more, so I picked the "Pixie Cat - Leather Mask in Purple and Bronze" as my fave, meow flutter flutter! I was the 2nd person who licked (okay, liked) my item. I vetoed (oops, voted) for you, AQ! I love the Sculpted Leather and Peacock Feather Floral Headdress in Burgundy and Lime.